Halloween takes a bold but successful move. For a well established and beloved franchise, it is a brave move to undo and wipe-away all of the movies that followed the 1978 original and treat this film as the only true sequel. Luckily, this is a move that pays off and what you get is a film that follows-up the original, builds upon it and manages to tie-up the story perfectly. 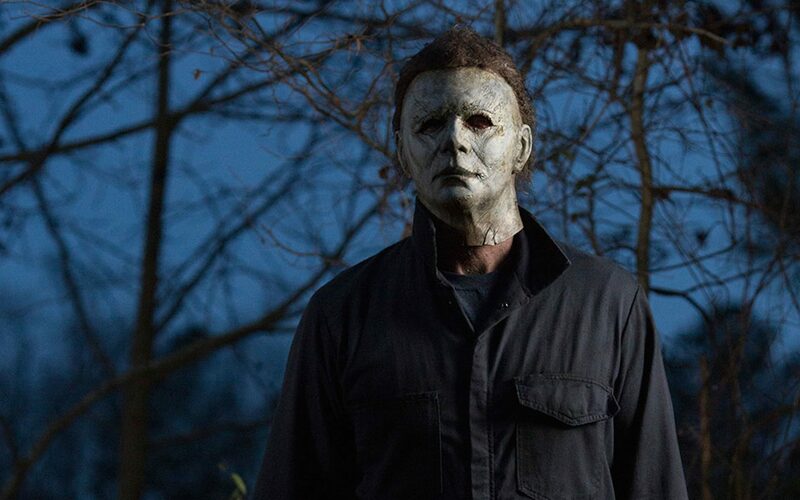 Time has been kind to the Halloween franchise and setting this movie 40 years after the original (on the actual numerical anniversary) is a clever move. The modern setting plays to the myth of Micheal Myers and here he is treated as a mystery that needs to be solved. The opening scene where budding investigative journalists Jefferson Hall and Rhian Rees reintroduce Myers to his mask (which has never looked better) is staged perfectly, with the reaction of the psychotic inmates around the still Myers being everything as effective as if Myers had reacted himself. The movie takes a bold move from there and decides to build the characters and the backstory. The second interesting aspect to Halloween is the effect the events of that night 40 years ago has had on the original Scream Queen – Laurie Strode. Jamie Lee Curtis is back in her iconic role and plays this more like a Sarah Connors than a tame victim. She has been haunted by Myers, preparing for his inevitable return and managed to tear apart her family in the process. As a look at the effects of one night on the people it hurt the most, Halloween is effective and poignant. This is a horror movie though and once Micheal Myers has been let loose, the movie kicks into high gear. Myers is a creepy enough killer without relying on the cheap and ineffective jump-scares that have plagued modern horror. The relentless pursuit and unflinching kills that Myers delivers is enough to keep you hooked and it brings with it a terror and horror that you can’t take your eyes away from. This is a Myers let loose. He has a bigger kill count than the 1978 original but there is little creativity. He is a big man with a knife and he uses it to great effect. That doesn’t mean there aren’t well-staged kills. There are inventive moments; from a sequence involving motion-activated lights through to a hunt for the killer in a room full of mannequins. All of this builds perfectly to a great, tense finale. It has all the traits of a classic horror. 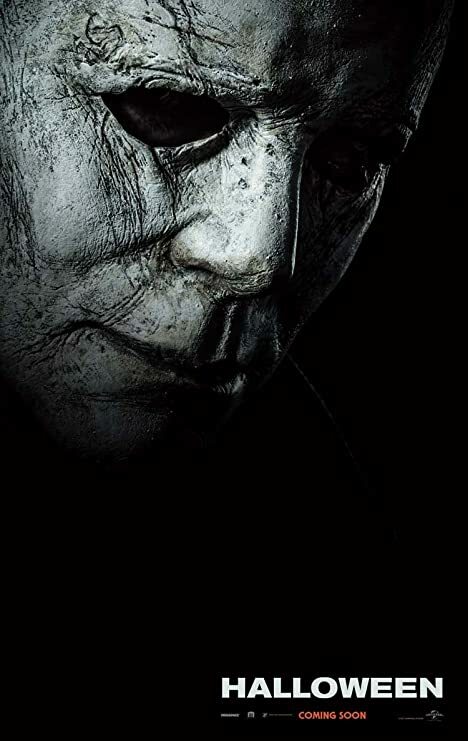 Characters make stupid mistakes, mixed identities lead to sudden deaths and as always, Myers seems unstoppable and indestructible. 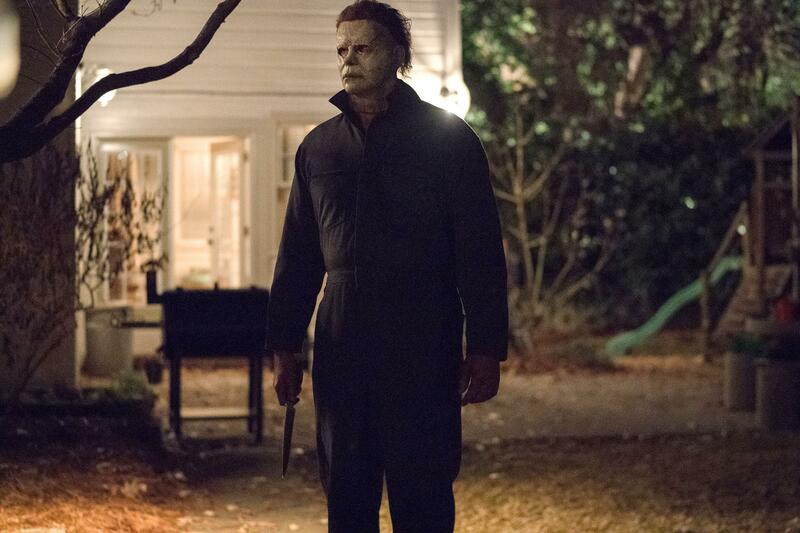 He is clearly the Michael Myers of the original film and Halloween manages to fit in plenty of great nods and call-backs to that seminal horror movie without being too obnoxiously obvious. A passing fan won’t get the references but a Halloween super-fan will revel in the well-staged moments which remind you of some Halloween’s best scenes. It is worth mentioning that unlike many other slasher horror movies, the female characters are the strongest in the film. A trio make-up the Strode family, from Curtis’ returning Laurie through to her jaded and distant daughter, played by an effective Judy Greer, through to the understanding but atypical scream-teen embodied by Andi Matichak. These are not your usual screaming damsels but instead, due to the effects of the original, have the capability to take the fight to Myers and it makes for a much more enjoyable and thrilling movie. This updated sequel also does a great job of ending the story. It has a great finale and a conclusion fitting to both this film and the original. The final moments have a great twist which will keep everyone happy and aches to be left alone, concluding the events in a perfect way. Yeah, I agree, this really is how you make a sequel. The 40 years of history helps give it weight, but the film-making is still really strong here. I was very very impressed! Next Next post: WW1 and Documentary Month: The Launch!